Explore a stunning range of curtains for the heart of the home. From fuss-free plains to decadent embroideries, we’ll have the perfect pair for you. Transform your home with stunning curtains from our collection. We’ve got hundreds of design ideas to help you find the perfect styles for your home. We talk you through the benefits of choosing a wave header style. 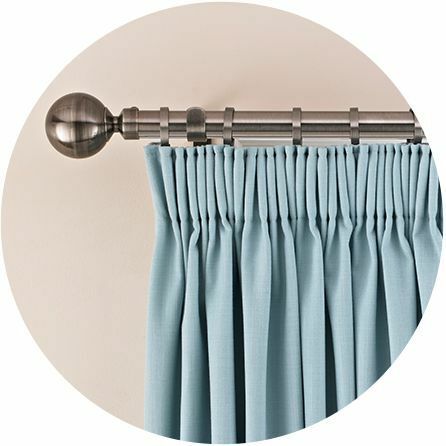 Find practical advice about buying curtains, with tips on fabrics, fullness, header type, drop and much more. Embracing European and African influences, this eclectic look is all about lounging. An exclusive look at how we set the scene for the photography that defines the range. 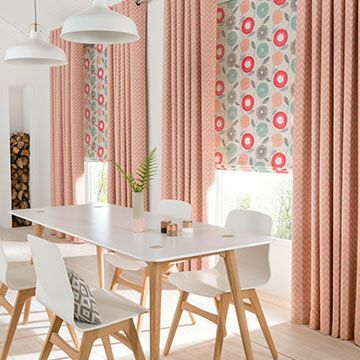 If you’ve got an open-plan kitchen that’s become the hub of the home, you’ll love our show-stopping kitchen curtains. They’re great for adding a touch of cosiness to large spaces and will cover bi-fold or patio doors beautifully. And with over 200 fabrics to choose from, we’re sure you’ll be spoilt for choice too. Match curtains over doors with curtains at your windows, made-to-measure for a perfect fit everywhere. If you’d prefer a blind for areas around sinks or ovens, matching Roman blinds are ideal for you. At Hillarys, we make the whole process so easy. When you’re shopping for kitchen curtains, we think there’s no better place to browse than your home itself: there’s nothing quite like holding up a fabric to the exact window you’ll be dressing. When you book a home appointment, you’re benefiting from expert advice from one of our advisors. 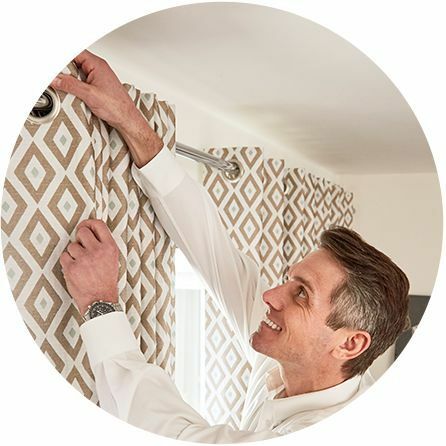 They'll measure your windows to ensure the perfect finish, and you’ll be able to customise your curtains and choose any accessories. Then they’ll leave you with a quote to consider. Made-to-measure kitchen curtains, made to impress. No one else will have kitchen curtains quite like you. That’s because you customise every detail, from the type of header right down to the tie backs. We even have tracks and poles to choose from. Of course, they’ll fit perfectly too – that’s the beauty of made-to-measure. Just like a elegantly fitting dress or suit, your window will look all the better for its crisp new silhouette. All you have to do is accept the compliments.